In Vourkari we are reviving the traditions and we are celebrating in the picturesque chapel of Saint Irini the feast of her name! 10.30 Traditional feast with local treats offered by local businesses. Music and traditional instruments by Antonis Zoulos, Dimitris Kozadinos and Petros Dalaretos. 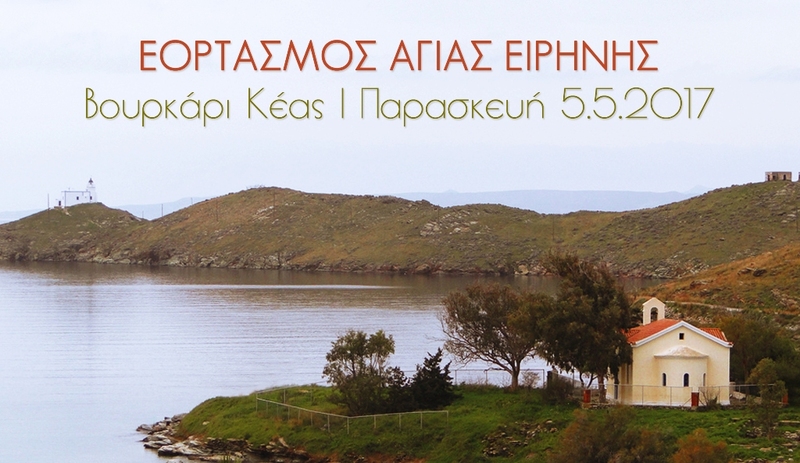 Also, from 10.00 to 13.00, the archaeological site of Agia Irini will be open so that anyone who wants it can visit it. It will be our pleasure to join us and enjoy this beautiful day with us!